With an agreement in principle, but with a lot of worries and hesitations ended the second discussion in the Council of EU finance ministers on the revived European Commission proposal to introduce a Common Consolidated Corporate Tax Base (CCCTB). Last October, the Commission tried to revive its 2011 proposal by splitting it into two phases - first bargaining on the common corporate tax base, and then adding consolidation - hoping it could pass. The discussion on May 23 was the first one this year on the proposal. Edward Scicluna, the minister of finance of Malta, decided to fully separate the consolidation debate and suggested that ministers concentrated on three points of the proposal for a common corporate tax base (CCTB) - the super discount for R&D, the discount for growth and Investment, and the tax relief for temporary loss. According to the Presidency, one of the persistent problems that arise at the level of technical discussions is the issue of flexibility, that is, how much room for manoeuvre will be given to member states when applying these deductions, also called incentives. Tax Commissioner Pierre Moscovici (France, Socialists and Democrats) agreed that member states need a certain degree of flexibility in order to reach an agreement but warned that this flexibility should not undermine the benefits of consolidation. Unconditional support for the EC proposal was sporadic. Criticism and reservations prevailed. Danish Finance Minister Kristian Jensen noted that there are fantastic ideas in the proposal but their implementation will be very difficult in practise. He reiterated his concern that was also expressed in the previous discussion in November by his colleagues from Sweden and Finland, that if the basis of corporate tax is not broad enough Copenhagen will not support the proposal. Denmark has a very broad base at the moment and if the proposal remains as it stands it will result in big revenue losses, Minister Jensen explained. He said the most effective corporate tax system is with a broad base and very low rate. Magdalena Andersson, Sweden's finance minister, also expressed concerns that their budget would lose a lot of revenue if the base did not expand. Like before, reserves were also expressed by Cyprus, whose Permanent Representative Nicholas Emiliou warned that European rules should not deviate from international practises and agreements. Otherwise, European competitiveness will be undermined. According to Cyprus, the proposal does not contain the right elements that would lead to the right mix of harmonisation and flexibility. Moreover, he said, it is unclear whether the proposal complies with the subsidiarity rules. He believes that the CCCTB will lead to a more expensive and difficult to administer system, especially for small economies. In practise, this will create two different tax systems. Ireland, which has opposed the proposal from the outset, stated its goodwill to participate in the talks and said that the idea of ​​tax deductions should be backed up to support research and development, but flexibility was needed to allow member states to retain the incentives they already have. Belgian Finance Minister Johan Van Overtveldt also advocated a certain degree of flexibility and warned that the proposal should not affect the right of member states to set their corporate tax rates or other measures that go beyond harmonising the base. According to him, the proposal is in line with this. Polish Finance Minister Mateusz Morawiecki mellowed down his position in comparison with the November discussion saying he saw potential benefits of the proposal, but stressed that the stability of public finances is central. The Netherlands sees a conflict between the CCCTB proposal and the already approved anti-tax-avoidance directives (ATAD 1 and 2). The Netherlands is also not sure how the proposal complies with the subsidiarity principle and is worried about the effect on the budget. Austria supports the proposal in principle, but is against super concessions. It considers them an unnecessary element, which must be left to the discretion of member states. The Austrian permanent representative requested that the Commission examined in more detail the effect on national budgets of the introduction of a common base. Lithuania is also worried about concessions for research and development. The most detailed and critical was Luxembourg Finance Minister Pierre Gramegna. He was so detailed that his Croatian counterpart, Zdravko Maric, regretted him not having spoken earlier. According to Gramegna, many of the clauses in the proposal overlap with provisions in the anti-tax-avoidance directives and the globally agreed base erosion and profits shifting legislation (BEPS). Pierre Gramegna also thinks that many things in this proposal are confused, which, instead of clarity, will lead to confusion. "If we go for a full harmonisation - what we're doing here - we're strengthening ourselves institutionally, politically but I'm not so sure that we're strengthening ourselves economically", he said. The minister, whose country is often criticised for being a tax haven and for striking sweet deals with large multinational corporations, warned that the proposed incentives for R&D and growth and investment might conflict with EU state aid rules. Finally, he said that, according to experts' estimates in Luxembourg, the cost of introducing the CCTB and especially with the consolidation (CCCTB) would be 0.8% of GDP. While Luxembourg has reserves about the proposal and prefers a cautious approach, the minister announced that he will continue to work with his colleagues. Italian Minister Pier Carlo Padoan proposed that a compromise is looked for. In his view, the proposal is a unique opportunity to create a predictable and more stable EU tax framework. "I believe this is a major structural reform", he said, adding that he understands the countries that want more flexibility, but warned that it is important to maintain consistency in the application of rules and that there are clear benefits from having common rules, as they create a secure and uniform tax environment for business. "So, there is a trade off", he added. Milena Hrdnikova, acting minister of finance of the Czech Republic, shared an interesting observation. According to her, the fact that the proposal for the CCCTB has been on the table for six years has led to a convergence of member states' tax systems. If a little more work is done on it, it is possible to achieve the desired result, she said. 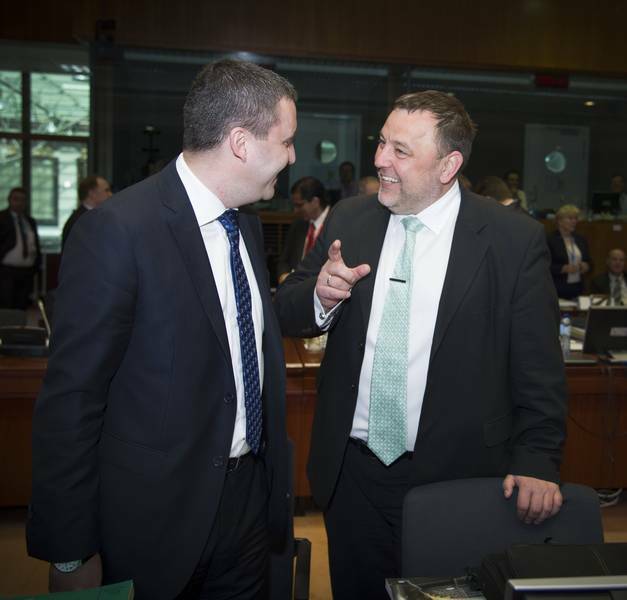 Bulgarian Finance Minister Vladislav Goranov supported further work on the proposal. He advocated limiting the flexibility as otherwise there would be a deviation from the objectives of the proposal. He asked the EC to prepare an impact assessment of the proposal on national budgets. 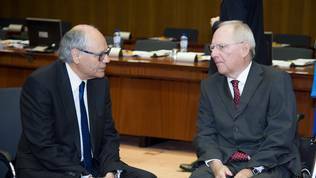 Additional tone of scepticism was brought by German Finance Minister Wolfgang Schäuble, who was the last to speak. According to him, the discussion has in fact increased the problems. He advised working with a priority only on what would increase competitiveness and integrity of the common market. 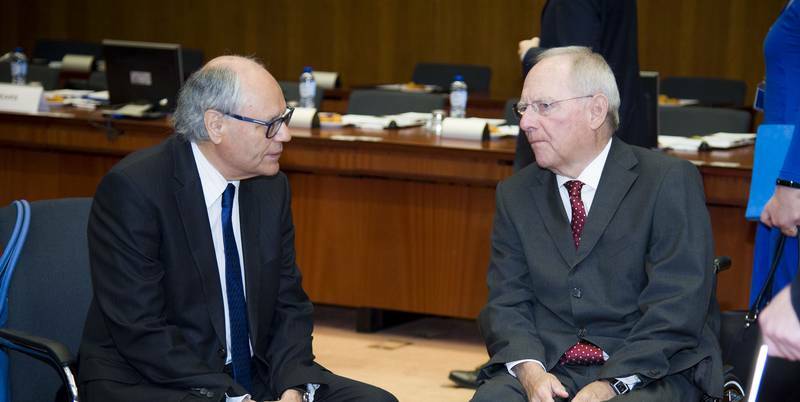 Schäuble expressed his sympathy for the Commission for having to deal with such a heavy dossier. "We should be careful not to raise too high expectations", was another piece of advice of his. 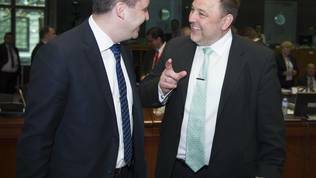 EU Commissioner Moscovici agreed with him but urged ministers not to give up the draft. "I think that with a certain degree of hard work we will be able to strike the right balance, but we have to maintain the level of ambition", Mr Moscovici said at the end of the discussion. Estonian Finance Minister Sven Sester abstained from commenting but made a commitment that during the Estonian Presidency, which begins on July 1, discussions on the issue will continue. He reminded, however, that Estonia's key focus will be the digital economy.